Many customers aren’t aware that the outside water line from their residence to Suburban’s water meter is their responsibility. For under $5 a month, the LifeLineTM Maintenance Plan will cover the repair or replacement of earthquake-damaged outside water lines. A houseline repair can cost $2,000 or more. While the main line may be covered by your homeowner’s insurance policy, just paying the deductible can strain a family’s monthly budget. At only $4.97 per month, LifeLinewill cost a fraction of the expense of repairing your houseline yourself or paying an insurance policy deductible. Conserving water is even more important these days. Unfortunately, a houseline can leak for days without showing any sign of trouble. With LifeLine, we will send our maintenance professionals to your home fast, saving as much water as possible. Fixing a houseline leak takes time that most families just don’t have. With LifeLine, you can avoid the hassle of searching for a plumber and supervising a stranger in your home. Fixing a houseline leak is as simple as calling Suburban Water Systems. To sign up, simply review the agreement (PDF) and complete the online application form. A crew will be sent to your house to see if you qualify. The $4.97 fee will be added to your monthly bill. It’s that simple! Sign up TODAY to join thousands of Suburban Water Systems customers who know the peace of mind that comes with LifeLine. I accept the Terms and Conditions (PDF) of the Lifeline Program, and agree to the additional $4.97 monthly program fee. 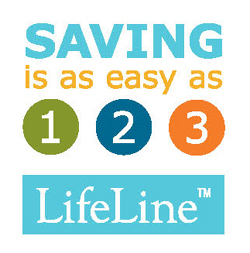 You can contact us with questions regarding the Lifeline program via email to LifelineApplication@swwc.com, or call our LifeLine Team at (800) 203-5430.